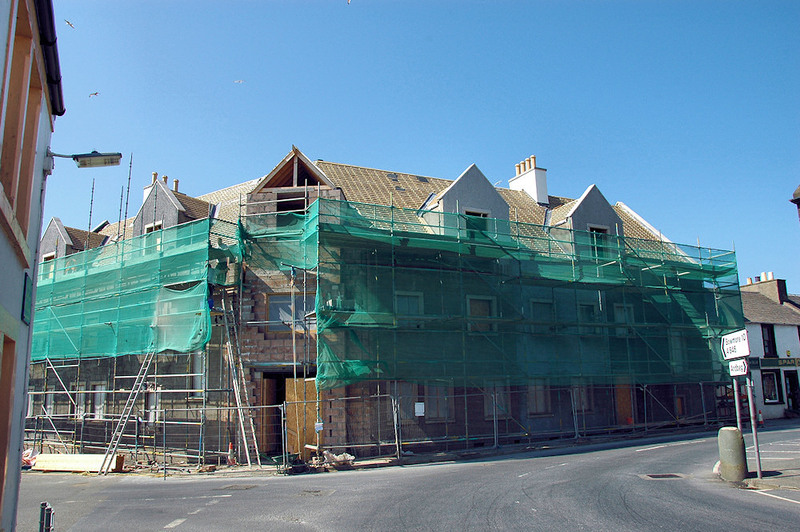 It’s long finished and successfully open now, but this is the Islay Hotel in Port Ellen during the rebuild a couple of years ago. This entry was posted in Repost, Sunny Weather, Village and tagged Islay, Islay Hotel, Port Ellen by Armin Grewe. Bookmark the permalink.